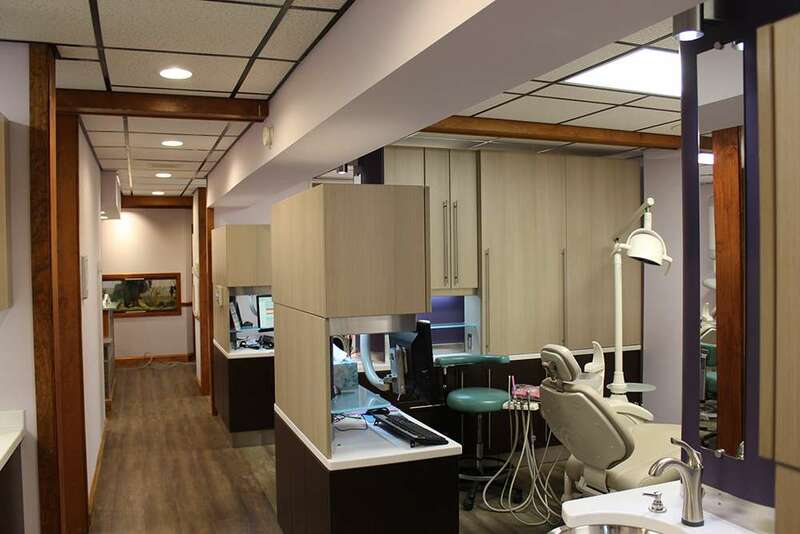 When you choose the Gentle Family Dentistry to care for your invaluable smile, you will experience more of the latest techniques in general dentistry and the ultimate in personal care. 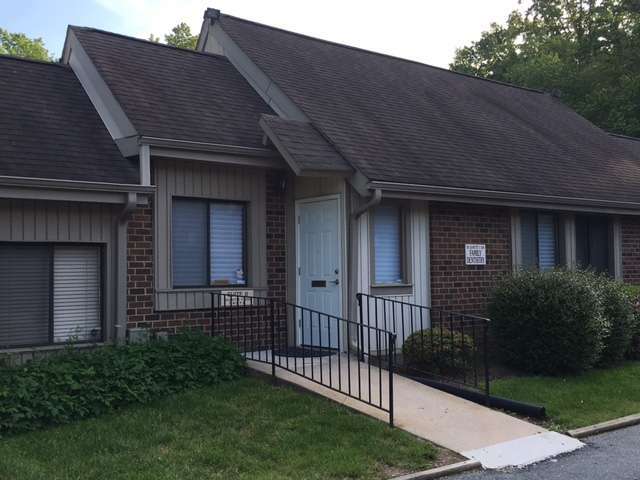 Our office provides comprehensive cosmetic dental services, complete dental implant procedures, and restorative dentistry all in one convenient location. Here you will receive distinctive dentistry. 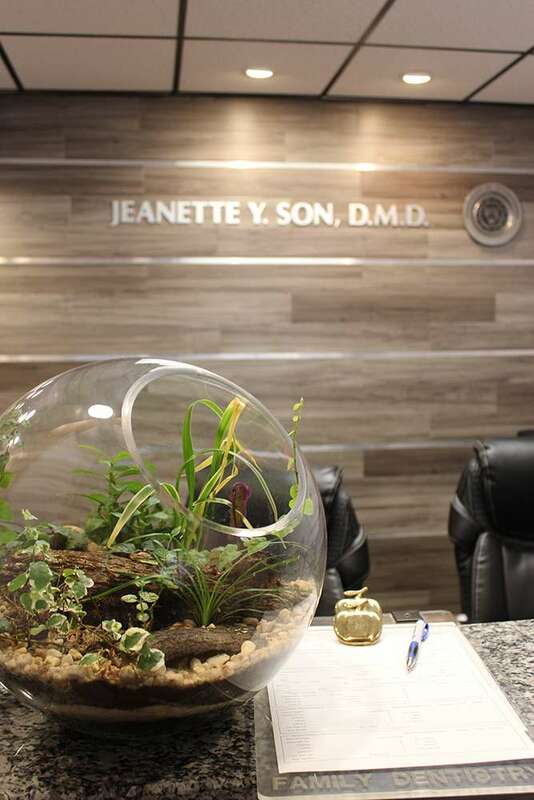 Our helpful administrative team will greet you and attend to all of your scheduling, payment, and financing needs and along with our dedicated clinical team, including Dr. Son, will strive to build a unique and rewarding relationship with you. 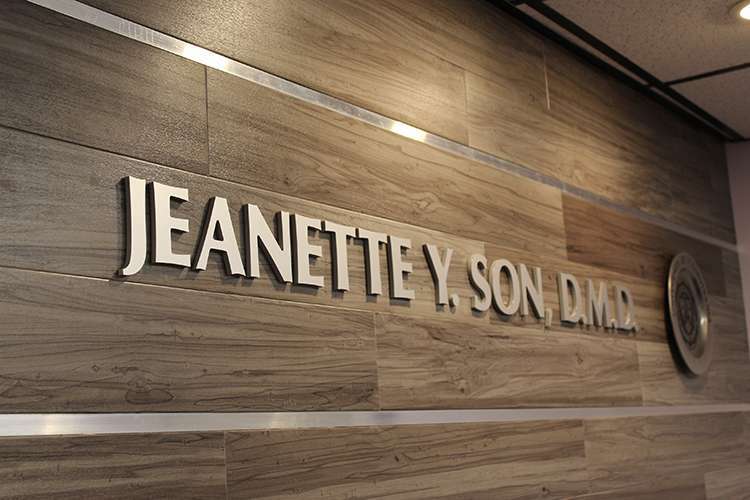 Whether you need a general dentist to maintain your oral health or a cosmetic dentist who can help you make your dream smile a reality, we are confident you have made the right choice in choosing Gentle Family Dentistry. Teeth whitening, or teeth bleaching can be defined as the whitening or lightening of a single tooth or multiple teeth through the application of chemical agents. Teeth whitening is the most commonly requested cosmetic dental procedure, and is one of the most straight forward ways to give you a whiter and brighter smile. Teeth bleaching can be achieved by our dental team. When full arch bleaching is requested, we offer two choices: take home, or in office. Take home bleaching is more common. In this case, the dentist will take impressions (molds) of each arch, pour stone models, and make custom trays for the patient to wear. These custom trays are made from clear, soft material, and they serve to hold the bleaching gel away from the gums, thus reducing irritation. In office bleaching has advantages. Using this technique includes, speed, convenience, and predictability. 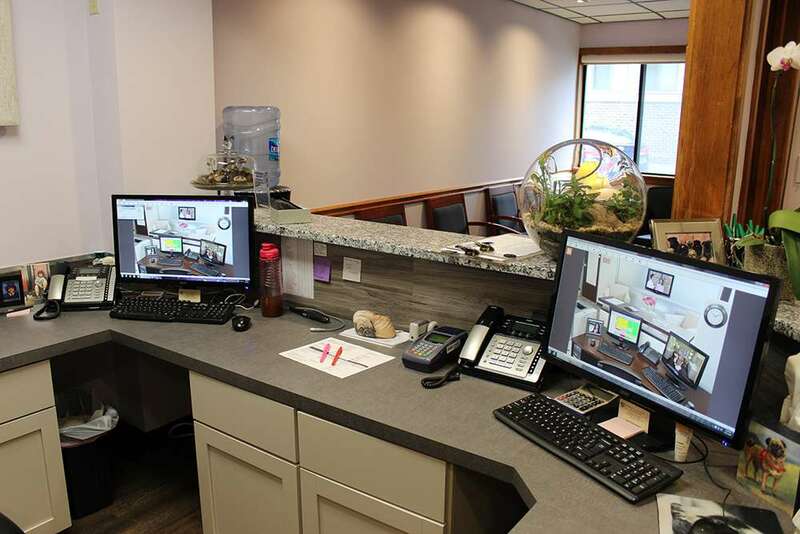 In some instances, patients can see a dramatic change in about an hour. Similar changes could take up to two weeks using the take home technique. 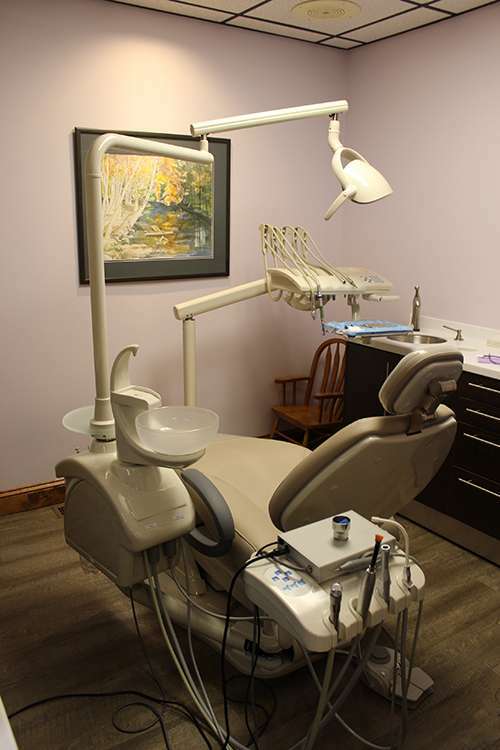 Each step of the bleaching process is monitored, and controlled by the dental professional. There are no compliance issues (such as not wearing the trays every night, not smoking , or not drinking red wine during the bleaching process), which could lead to less than optimal results. Dental veneers are a shell, or layer of tooth colored porcelain placed over the facial surfaces of teeth to correct worn tooth enamel, uneven tooth alignment or spacing, discoloration, and chips or fractures. Although dental veneers fall into the category of cosmetic dentistry (because they create bright, white smiles with beautifully aligned, shapely teeth), they also protect the surface of damaged teeth, and may eliminate the need for more extensive treatments. Other benefits of veneers include: durability, an improved smile appearance, and the need for little-to-no removal of tooth structure compared to crowns. ~Worn enamel – Over time, the thin, hard translucent substance covering your teeth (enamel) may become worn, dulled, and discolored. Such wear and discoloration is often the result of consuming soft drinks, tea or coffee, smoking, the used of certain medications, etc. ~Wear and tear – Teeth naturally wear down as people age. Aged teeth are more likely to have chips, fractures, or a generally uneven appearance. ~Uneven teeth – Uneven teeth can result from tooth grinding or general wear and tear. Porcelain is the most appropriate and long lasting material for dental veneers. The removal of any natural tooth structure is permanent, so we prefer to offer patients the most minimally invasive options first. If your natural teeth are functionally and esthetically adequate, dental veneers may not be an appropriate treatment for you. Veneers do have the added benefits of longevity, and a proven ability to enhance the appearance of the mouth, smile, and other facial features that are better supported by properly shaped teeth. Porcelain dental veneers may require the “shaping” or “prepping” of all teeth being treated. Therefore, we recommend whitening the teeth first for people with mildly discolored teeth who want a whiter smile, because it’s the least invasive cosmetic dentistry option. If crooked teeth or alignment issues are involved, whitening also may be combined with orthodontic treatments. 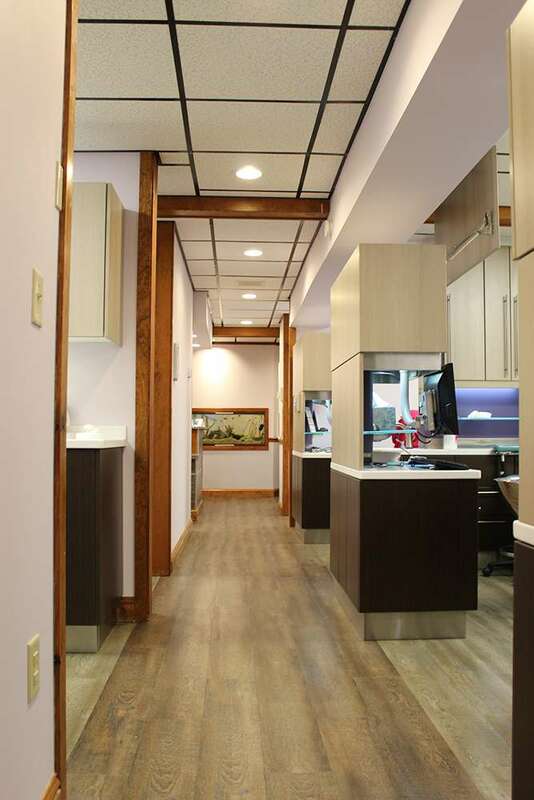 Our goal is to provide high quality dental care, while putting you in the most comfortable setting possible. We offer blankets, pillows, sun glasses to shield your eyes, and even headphones with an ipod if you wish to listen to music. Periodontal diseases range from simple gum inflammation (gingivitis) to serious disease that results in major damage to the soft tissue, and bone that support the teeth (periodontitis). In the worst case scenarios, teeth are lost. Whether your gum disease is stopped, slowed, or gets worse depends a great deal on your dental hygiene. The longer bacteria are in contact of gums, and teeth, the more harmful they become. The bacteria (in the form of plaque and tartar) cause an inflammation of the gums called “gingivitis”. With gingivitis, the gums become red, swollen, and can bleed easily. Gingivitis is a mild form of gum disease that can usually be reversed with daily brushing, flossing, and regular cleaning by a dentist or dental hygienist. This form of gum disease does not include any loss of bone, and tissue around the teeth. When gingivitis is not treated, it can advance to “periodontitis” (inflammation around the tooth). In periodontitis, gums pull away from the teeth, and form spaces (called “pockets”) that become infected. The body’s immune system fights the bacteria as the plaque spreads, and grows below the gum line. Bacterial toxins, and the body’s natural response to infection start to break down the bone, and connective tissue that hold teeth in place. If not treated, the bones, gums, and tissue that support the teeth are destroyed. The teeth may eventually become loose, and have to be removed. 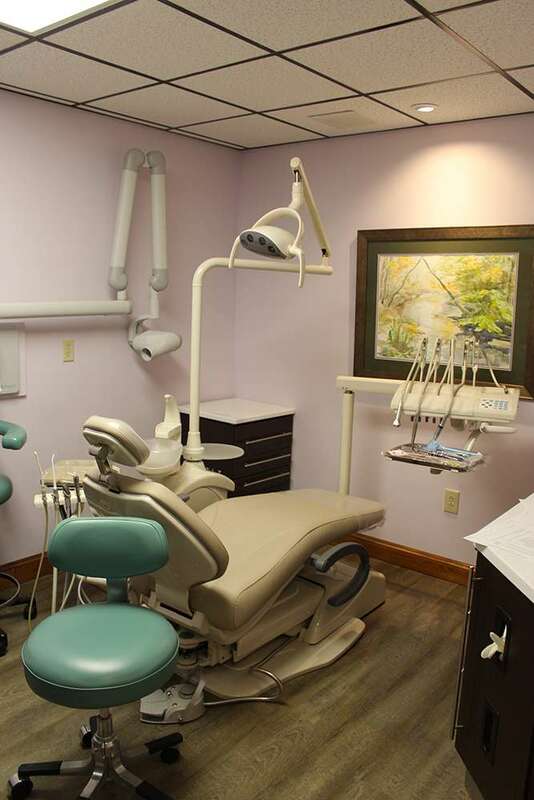 Our dental hygienist removes bacteria through a deep-cleaning method called scaling and root planing. Scaling means scraping off the tartar from above, and below the gum line. Root planing gets rid of rough spots on the tooth root where the germs gather, and helps remove plaque, and tartar. In most cases, more invasive surgical procedures might be used in conjunction with antibiotics and antimicrobial treatments. When treatment occurs too late, dental extractions might be the last solution to avoid further bone loss. Inflamed or infected pulp (pulpitis) often causes a toothache. To relieve the pain and prevent further complications, the tooth may be extracted or it may be saved by a root canal treatment. Once root canal treatment is performed, the patient must usually have a crown placed over the tooth to protect it. The cost of the treatment and the crown may be expensive, however, replacing an extracted tooth with a fixed bridge, a removable partial denture, or an implant to maintain the space and restore the chewing function is typically even more costly. The dentist removes any tooth decay and makes an opening through the natural crown of the tooth into the pulp chamber. Creating this access also relieves the pressure inside the tooth and can dramatically ease pain. The dentist determines the length of the root canals, usually with a series of x rays. Small wire-like files are then used to clean the entire canal space of diseased pulp tissue and bacteria. The debris is flushed out (irrigation) with large amounts of water and /or disinfectant solutions. The canals are also slightly enlarged and shaped to receive an inert (non-reactive) filling material called gutta percha. The tooth is not filled nor is it permanently sealed until it’s completely free of active infection. The dentist may place a temporary seal, or leave the tooth open to drain, and prescribe an antibiotic to counter any spread of infection from the tooth. This is why root canal treatment may sometimes require several visits to the dentist. A fiber post may be placed in the pulp chamber for added structural support and better retention of the crown restoration. The tooth is protected by a temporary filling or crown until a permanent restoration may be made. This restoration is usually a porcelain crown, although it may be an inlay or a composite filling (paste fillings that harden). The tooth may be sore for several days after filling. Pain relievers may be taken to ease the soreness. Whether you’re an adult or a teen, we all want to look our best at all times. Changing the way your teeth are structured takes time, and there are now ways to keep you looking your best during this period (clear braces) such as invisalign or clear correct. This new technology is available for most cases. The great benefit of these braces is that you won’t have to have that metallic look. In addition, clear braces are specifically designed so that they won’t stain, or wear over time. Give us a call today to see if you’re a candidate for clear braces! Essix Retainers are made of clear semi-thick plastic that are form fitted to the teeth. They are a lot like the retainers of invisalign. They correct minor misalignments, relapses after orthodontic treatment, and can close spaces in the front. Please request a consultation to see if you are a candidate. ~What is a dental implant? A dental implant is a permanent new root for a missing tooth. It is a titanium screw that is placed into the jaw bone. An abutment and crown is then placed on the implant to provide a new tooth that is permanent, and looks just like a natural tooth. They are better than other alternatives like bridges, because no additional teeth need to be altered to place the new tooth. Multiple implants can be placed at once if necessary. The entire implant process is performed over the course of a few months. You must allow about 3-6 months for the implant site to heal, and during this time, the jaw bone will form around the implant in a process called osseointegration. In some cases, during the healing time, you can have a temporary crown installed, or a temporary partial made so that you can eat, and speak normally, and maintain a proper aesthetic appearance for your smile. Most of the time, a healing cap will be placed over the implant. After the implant has healed, it is time to place an abutment on the implant. The abutment serves as the base for your new tooth. An impression of the abutment is taken, and is used to create your permanent restoration (crown). Once the restoration is completed, you can return to the office to attach the restoration (crown) permanently. Your smile will look just like it used to, and after a short period of getting used to the implant, it will feel just like one of your own teeth. ~What are the benefits of dental implants? Dental implants look, and feel just like real teeth. They are permanent, you can eat the foods you want without any fear of embarrassment , and the procedure is very successful, and fairly inexpensive. ~Who can place a dental implant? Dr. Son places implants in our office, she has had special training for surgical placement of implants, and has been placing them successfully since 2007. ~How much do implants cost? 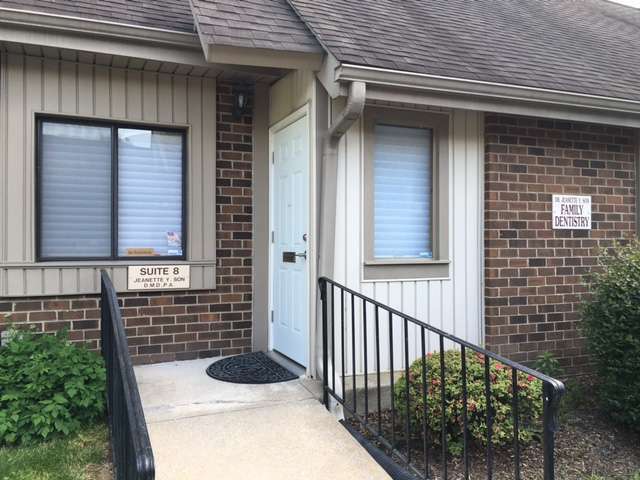 You will find our fee is slightly lower than average in this area. Dr. Son believes that an implant is the best way to replace missing teeth, and would like to encourage placement. Most dental insurance companies will cover part of the procedure. Schedule a consultation with us to determine a price for your implant(s), and financing if necessary. No. A local anesthetic will be given before the procedure so you don’t feel any pain. If you have anxiety or fear, you should discuss sedation options with us. ~How long do implants last? When cared for properly, implants should last a lifetime. Proper oral hygiene, and regular dental visits are essential to the success of your implant. No one treatment can resolve TMJ disorders completely and treatment takes time to become effective. Dr. Son help you have a healthier and more comfortable jaw. There are various treatment options that Dr. Son can utilize to improve the harmony and function of your jaw. Once an evaluation confirms a diagnosis of TMJ disorder, Dr. Son will determine the proper course of treatment. It is important to note that treatment always works best with a team approach of self-care joined with professional care. If your TMJ disorder has caused problems with how your teeth fit together, you may need treatment such as bite adjustment (equilibration), orthodontics with or without jaw reconstruction, or restorative dental work. Surgical options such as arthroscopy and open joint repair restructuring are sometimes needed, but are reserved for severe cases. Dr. Son does not consider TMJ surgery unless the jaw can’t open, is dislocated and nonreducible, has severe degeneration, or the patient has undergone appliance treatment unsuccessfully.